The key to a successful job is in the preparation and for the best quality finish you must use the correct primer undercoat. Little Greene make two versions of a combined primer undercoat. The first is a traditional high quality oil based version. The second is a quick-drying water based alternative. Both Little Greene Primers are available in the full range of colours. It makes sence to use the correct primer. By using the correct coloured primer undercoat you will achieve a good depth of colour in the fewest coats. 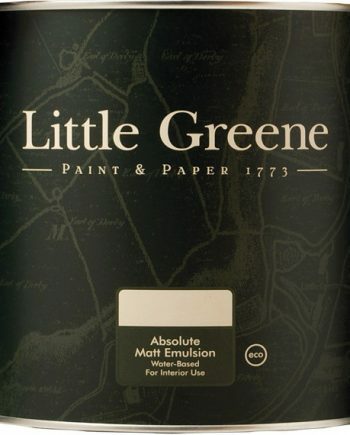 Little Greene Aluminium Wood Primer is an excellent, aluminium-based primer for preparing bare hardwood or softwood. It takes care too of annoying resins. Little Greene Wall Primer Sealer is the recommended primer for sealing plaster and rendered walls.